The possibility of military action by the US-led coalition against Damascus over the alleged use of chemical arms in Eastern Ghouta has almost eclipsed the controversial Skripal case; however, the incident, which prompted a wide-scale diplomatic row, leaves more questions than answers. The Porton Down experts' conclusion that the precise origin of the A234 nerve agent, which was supposedly used to poison former spy Sergei Skripal, 66, and his daughter Yulia, 33, could not be attributed to Russia has seemingly undermined Prime Minister Theresa May's narrative and prompted the US Foreign Office to delete its tweet pinning the blame on Moscow. "Has the Tory applecart been upset? Well, it has certainly lost a wheel. Even German politicians, amongst others, have criticized the British rush to indict Russia," Michael Jabara Carley, a professor of history at the Université de Montréal and the author of "Silent Conflict: A Hidden History of Early Soviet-Western Relations," told Sputnik. However, according to the academic, "damage control is underway." "The Times published a story about a covert Russian lab which produced nerve agents and spread like wild fire across the Mainstream Media. The Daily Mirror put out a story about a Russian secret assassin's training manual. What a laugh. Is the Tory government that desperate? Is the British 'everyman' that gullible? The secret assassin's manual reminds me of the 1924 'Zinoviev Letter', a counterfeit document produced by White Russians in Germany, purporting to demonstrate Soviet interference in British elections and planning for a socialist revolution," the historian recalled. Carley said that the hoax emerged during the October 1924 parliamentary elections and the Tories used the letter to attack the credibility of the Labour Party. "It worked like a charm," he noted. "The Soviet authorities claimed that the letter was bogus and they demanded a third party, independent investigation to ascertain the truth, just as the Russian government has done now." However, it took 75 years to determine that "the letter" was in fact a counterfeit, the Canadian academic pointed out. "The Tories are again acting as if they have something to hide. It is déjà vu," he remarked. It raises the question as to when the truth about the Salisbury poisoning will find its way out. "The chemists at Porton Down took the first step. Will there be others to speak up?" the professor asked rhetorically. 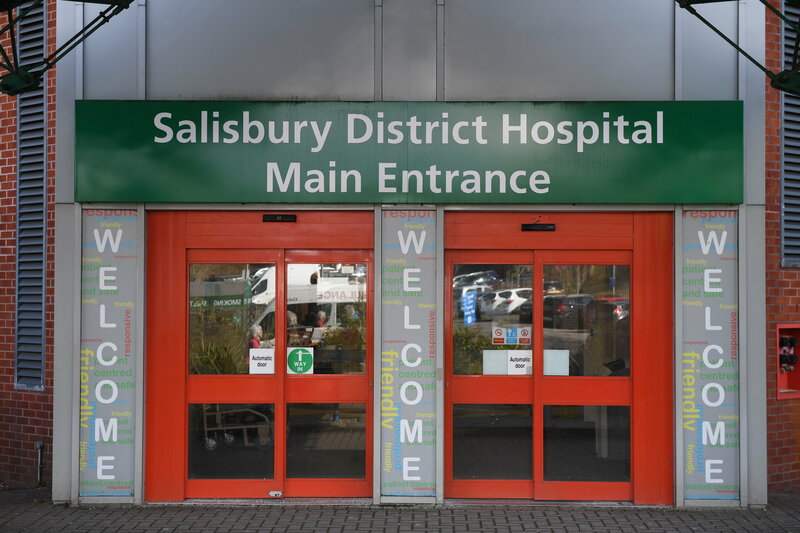 A general view shows the main entrance to Salisbury District Hospital in Salisbury, southern England, on March 6, 2018. Are British Authorities Deliberately Hiding Yulia Skripal? 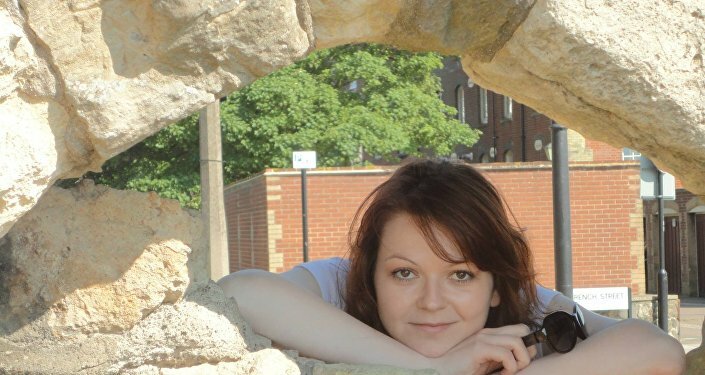 Still, tensions continued to simmer as Viktoria Skripal, Sergei's niece, was denied a British visa and access to her recovering relatives in the UK. Earlier Viktoria cast doubt on London's narrative about the alleged chemical attack against the Skripals. At the same time, the Russian Embassy in the UK has expressed its concerns about the fact that British authorities denied access to the Skripals, especially Yulia Skripal who is recovering fast and has been already discharged from Salisbury hospital. Furthermore, information emerged on April 8 that MI6 is considering a possible resettlement of the Skripals to the US or some other country under new identities in order to "protect them." According to Russian diplomats, it appears that the UK is seeking to hide important witnesses. 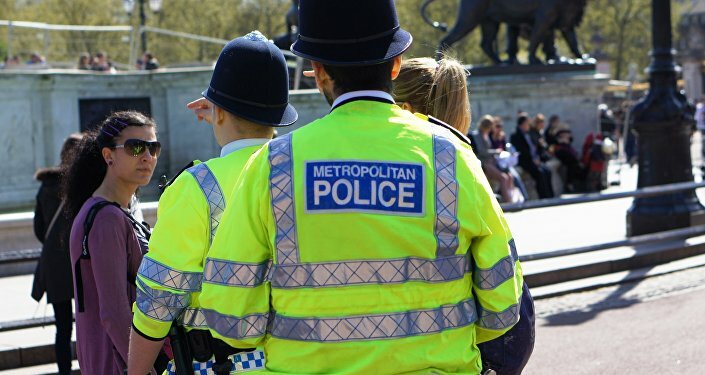 To "dispel" justified doubts, London's Metropolitan Police released a statement by Yulia Skripal saying that she neither wants to meet with Viktoria, nor plans to contact Russian consuls in the near future. "The Skripals could have been affected by a nerve agent or food poisoning, or by some less potent drug or poison," Carley noted. "It remains to be seen. What raised immediate suspicions about the so-called Salisbury incident was that the Tory government almost from the first day accused the Russian government and President Putin himself of being responsible in one way or another. How could that have been known before any police investigation took place? The British accusations were and remain evidence-free." Regardless of the fact that the Organisation for the Prohibition of Chemical Weapons (OPCW) had recently stated that the Skripals were poisoned by A234, the Canadian academic says that some suspicions still remain. "If it was a nerve agent, it should have been instant acting and killed the Skripals almost immediately," he presumed. "Yet both have survived at the time of this writing. Was it some other kind of poison?" The professor recalled that at long last "the British sent a sample of the substance to the OPCW which they allege was used to poison the Skripals, but without allowing a sample to be given to Russian authorities, according to agreed upon procedures." "When the Russian representative at the OPCW proposed a resolution to the executive council, that it should, in effect, respect its own statutes, he could not obtain the required vote for approval. The British have succeeded in hijacking the OPCW as a potential tool against the Russian Federation," Carley opined. On the other hand, the British police have seemingly sought to prevent all outside contacts with the Skripals, Carley noted, suggesting that the UK authorities are "grooming" Yulia Skripal in a last ditch effort to save both their narrative, which is falling apart at the seams, and their face. "Are British spooks grooming Yulia Skripal, briefing her to stay on the Tory narrative? Are they playing on her loyalty to her father?" the Canadian professor asked. Judging from the recent statement "attributed to Yulia Skripal," it begins to look that way, he said. "British authorities are acting as though they have something to hide," the historian noted. "Given all this, can anyone with reasonable abilities to think critically believe anything the Tories are saying about the Salisbury affair?" On March 4 the Skripals were found unconscious on a park bench in Salisbury after being reportedly poisoned by the A234 nerve agent. Following the attack, UK Prime Minister Theresa May accused Russia of "attempted murder" of the former spy and his daughter and initiated the expulsion of 23 Russian diplomats from the UK. More than 20 countries have followed Britain's suit. However, the investigation into the case is still far from being over. The views and opinions expressed by Michael Jabara Carley and Ekaterina Blinova are those of the speakers and do not necessarily reflect those of Sputnik.